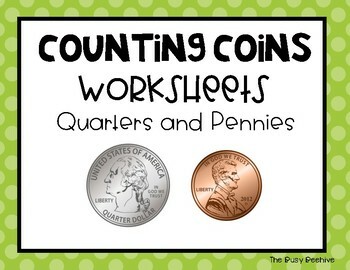 This file includes 8 worksheets that focus on counting quarters and pennies. 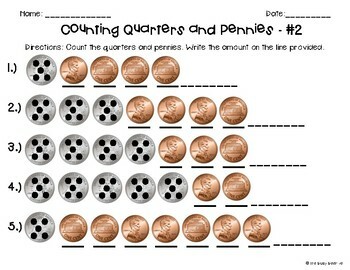 Each worksheet includes 5 coin combinations. The worksheets include two sets of four worksheets. 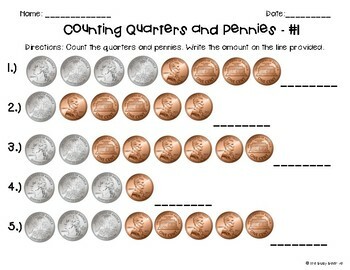 Set one includes quarter combinations without touchpoints. Set two includes the original worksheets from set one, but touchpoints have been added. The two sets provide a great opportunity for differentiation.